Fuel the Body. Feed the Soul. 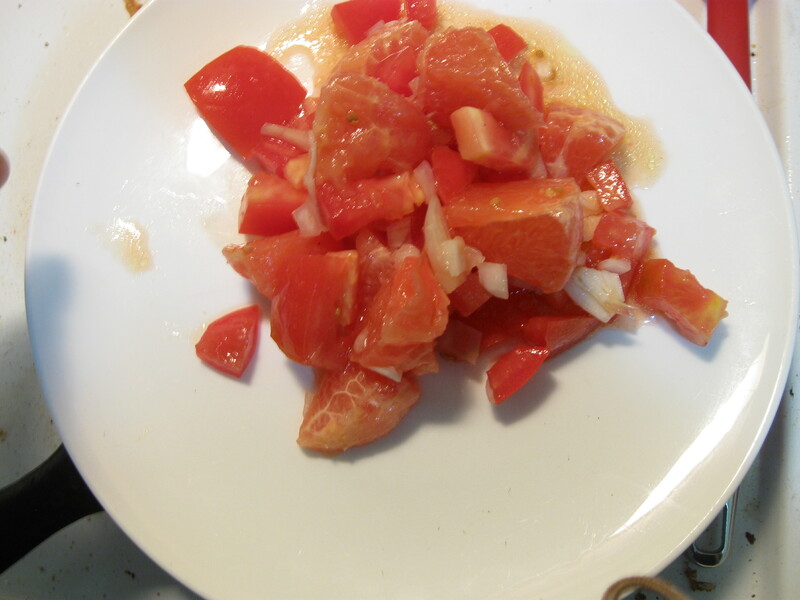 Last week I stumbled upon this really cool blog called The Pescetarian & the Pig. Pescetarianism (forgoing meat but eating seafood) was a lifestyle I followed for 11 months. I’ve strayed away from that, but as summer rolls around I find myself wanting to eat less meat, so I was more than excited to see some tasty pesco recipes to reignite my tastey-buds. Note: Yes, a diet is like a romance. You need to add some spark every now and then, lest it fizzle! 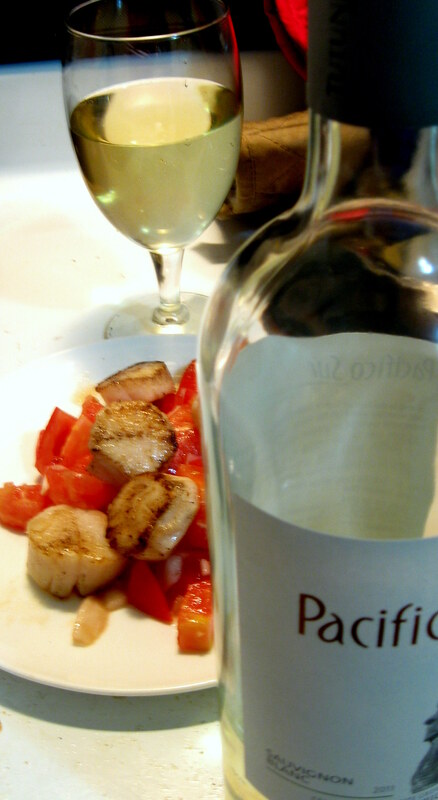 Although I didn’t use the scallop recipe on the blog, I was inspired to go out and buy some for tonight’s dinner. 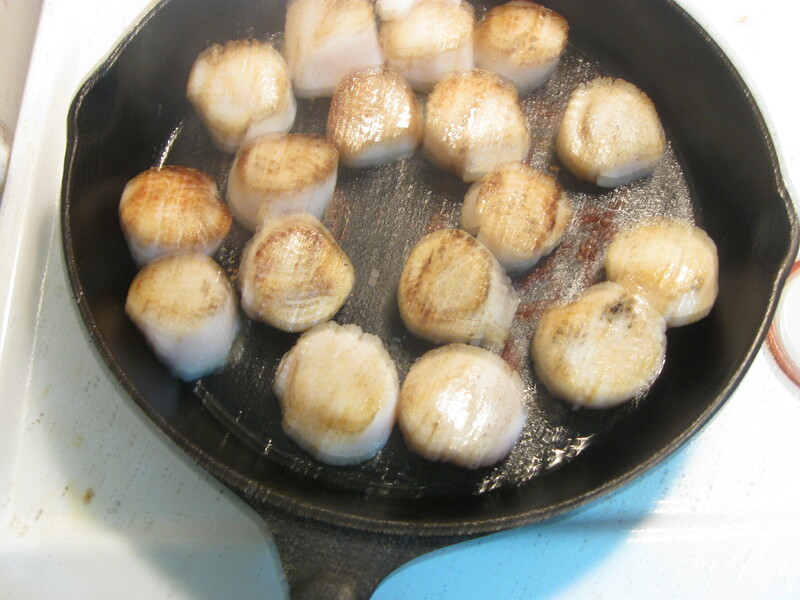 Purchasing jumbo scallops is not something to be taken lightly, as they are pretty expensive buggers (16.99/lb!) I mixed and matched ingredients until I came up with a recipe that not only sounded tasty and clean, but also had overlap with what I was already buying. I revised this recipe to suit my needs. 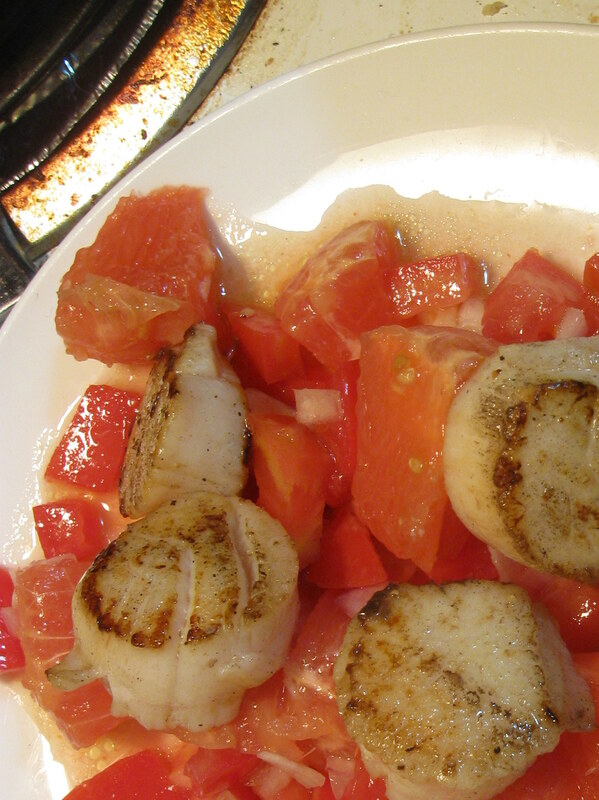 I seared some scallops—yes, I got to use some ghee!—and laid them over a “salad” of segmented grapefruit, Roma tomatoes, scallions, lime juice, and a dash of hot sauce, with some salt & pepper to taste. The dish was filling, yet light, and extremely flavorful. It was well worth the money, and the cheap bottle of white wine we bought, because the standard glass of milk just doesn’t cut it when you’ve put time and money into an elegant meal. Thankfully, as stated above, the meal was light enough for us to squeeze in a delicious dessert, which I’ve been waiting to concoct for a few days. As you may know, I love Tara Stiles, and when she started her Tara Eats blog I practically fainted. There was finally an easy way for me to follow her delish & healthy recipes! A recent recipe piqued my interest (and belly.) Plus it was simple, and simple and measurement free is the surest way to my heart. Oh, what a pain it is to wash all those measuring cups and spoons! 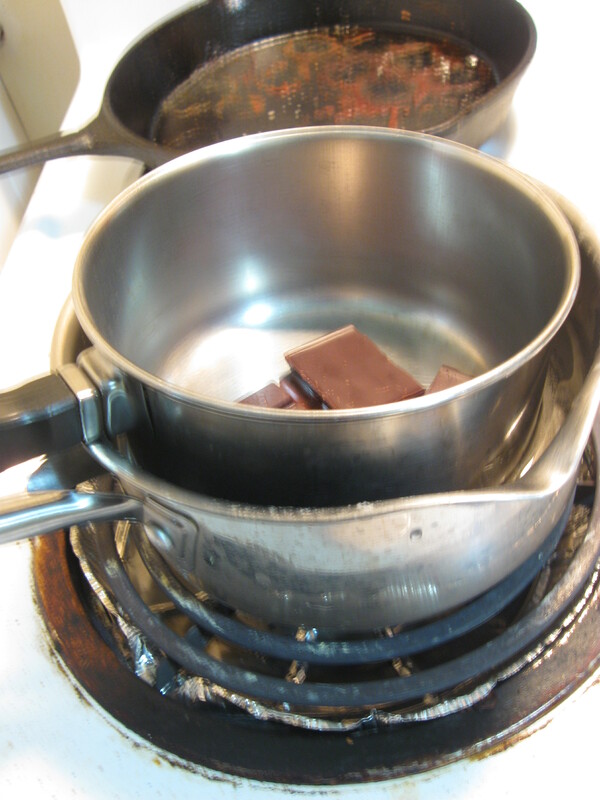 Homemade Double Boiler. 100% necessary for melting chocolate! 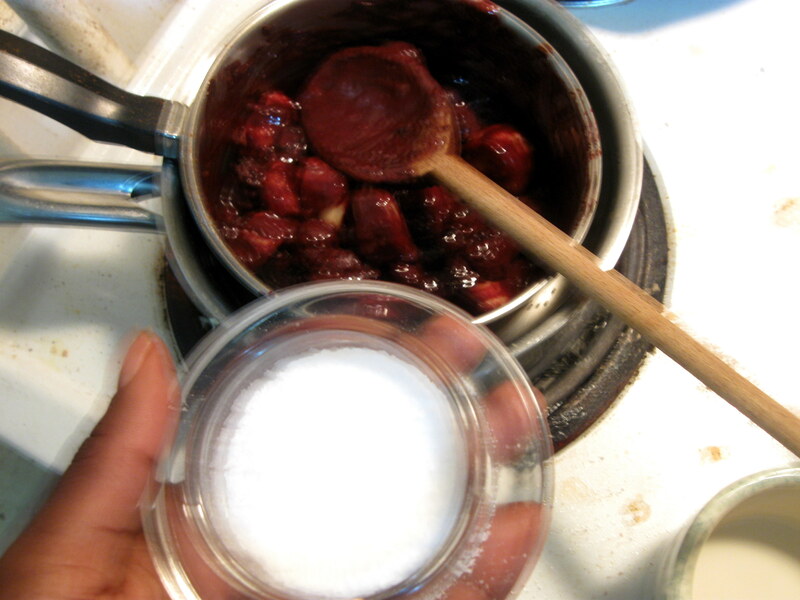 A pinch of salt to bring out the flavor of the chocolate! Try it sometime. If this isn’t a prime example of feeding your soul then I don’t know what is! So, here’s the deal. You can feed your soul with takeout, ice cream pints, Reese’s Cups (guilty as charged…Like, death row guilty), or you can make desserts/treats like this. 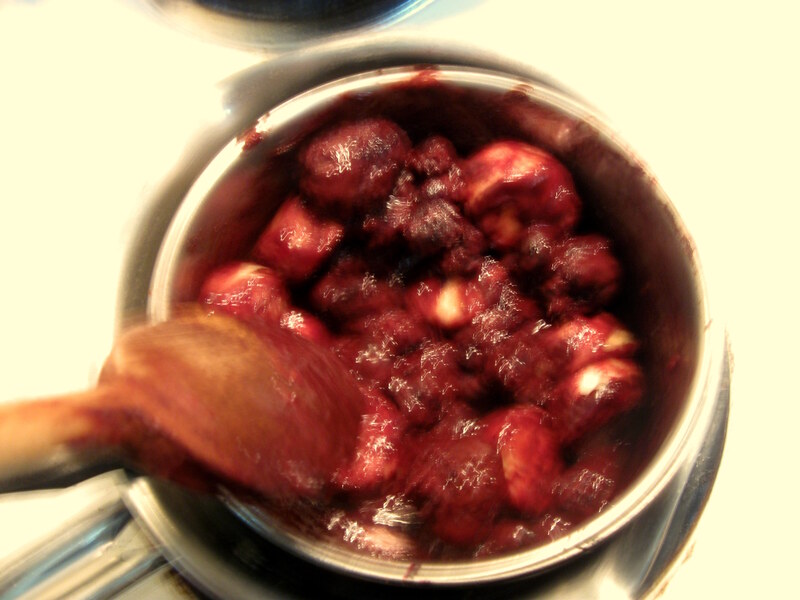 Berries are still healthy, dark chocolate (in moderation) is great for you, and bananas are just delicious goodness. You end up making a completely decadent dessert without really sacrificing much in the health realm, and your taste buds aren’t the wiser. And even if the recipe you try out isn’t healthy, I think there is something to be said for making a treat yourself. You’re putting time into it, and interacting with your food beyond scarfing it down. And I like to think you burn a few calories going the few feet to the fridge and stove…yeah? No? haha. Just kidding! But you get what I mean. How do you fuel your body and feed your soul?